Fall and winter are the perfect times of year to break out the big cooking pot and spend all day simmering up some delightful soup. At least that’s what I’ve found in my own life- I almost crave soup in the cooler months because it’s warming effects are so incredibly effective. But any old soup won’t do. The best flavor and most nourishing soups are derived from cooking the bones rather than the meat of a particular animal. Traditionally, cultures threw nothing away and found inventive uses for every part of animal carcasses and various other foods that today are considered by many to be garbage. One of those happens to be the bones which can be stewed into bone stock. Every time I’ve share with clients that the key to nutrition lies in the bones rather than the meat, I’m met with a blank stare. It seems hard to believe that there’s anything worthwhile for your body to consume in a hard dense bone. That’s why I turned to my teacher, ‘whole foods’ chef Andrea Beaman to help me clearly share with you the reason why those bones are a gold mine of minerals and other nutrients for your body to utilize. She’s the one who originally taught me about bone stock and why, for someone like myself whose digestive system has been compromised, they can be extremely nourishing. You may recall your parents or grandparents eating the marrow out of the bones at dinner. Do you remember this? I do. Some of my relatives still do…they’re eating the marrow which is very good for you. In Andrea’s new book Health is Wealth – Make a Delicious Investment in You! , there’s an entire chapter devoted to the subject of bone stocks and their vital place at the table. One reason is that “bone stocks contain a wealth of easily absorbable liquid nutrition (collagen, amino acids, minerals)” that our body not only needs, but also has to exert very little effort to absorb. Since we are all aware that celiac and food sensitivities can interrupt the body’s ability to properly absorb the nutrients in found in the food we eat, bone stock become a great solution. Similar to the Apple Cinnamon Porridge I posted that’s based on chinese congee that’s highly nutrient accessible as well. Andrea explains that “traditionally, anyone suffering from “wasting diseases” or general weakness was given stock to enhance their strength and vitality.” And we can take this a step further than just us digestively-challenged folks to include issues like osteoporosis and hormone (thyroid, adrenal, etc) imbalances. Bring bones and water to a boil in an 8 quart pot. Skim off foam/scum that rises to the top and discard. Add onions, carrots, celery, garlic, parsley, apple cider vinegar and peppercorns. Bring back up to a boil, then lower flame and simmer 6-18 hours, covered. The longer you cook the stock the more concentrated it becomes. 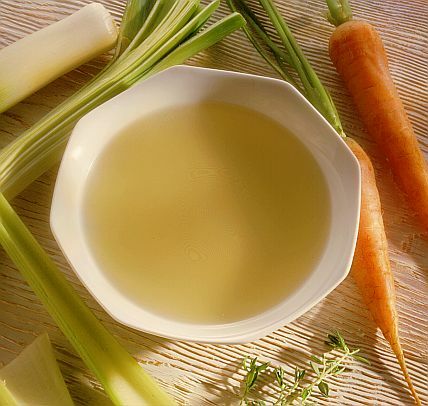 Strain liquid, discard bones and vegetables. Place liquid into the refrigerator and fat will congeal overnight. Skim off fat. Pour stock into freezer-safe containers, but do NOT fill to the top. Stock expands as it freezes. You can freeze stock for up to 3 months. 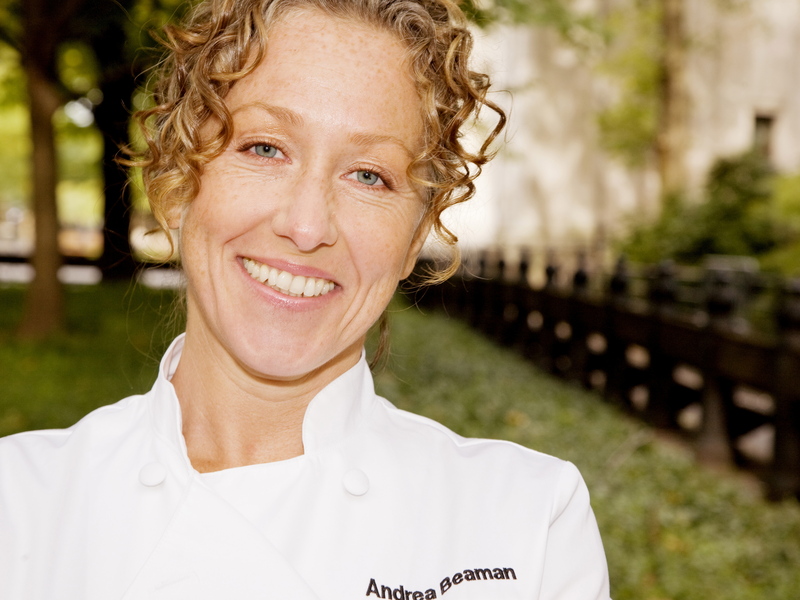 And if you need more guidance, Andrea’s short videos below will help you understand exactly how to re-create this process in your own kitchen. Enjoy! I did not see any vinegar or lemon added to the stock pot. It is my opinion that an acid is needed to draw the minerals out of the bones.